The Polish army will receive increased financing, grow in size and be equipped with more modern equipment. Improving Poland’s security is the main goal of the Act on the Restructuring and Modernization of the Armed Forces of the Republic of Poland signed on wednesday 1 November 2017 by President Andrzej Duda. "Nobody needs explaining that we want to have a strong, efficient Polish army, which, in the event of any threat to the Republic, will be able to respond adequately and will be able to defend Polish borders, the security of its citizens," the president said upon signing the bill. “Of course, we take into account all of the regulations within our Alliance cooperation framework and we are convinced that the North Atlantic Alliance will in the event of danger implement the famous Article 5 of the Treaty. But despite all of this, we hold firmly to the position that we must have the strongest, most effective Polish army possible,” he added. The adopted regulations aimed at facilitating the modernization of the Polish army are set to spread out the reforms over the next dozen years. In particular, defence spending will increase gradually to an amount equivalent to 2.5 per cent of GDP. This level of funding for the army is to be achieved by 2030. “This is a big change, because this "half a per cent" increase of the defence budget over the next 12 years amounts to a huge sum. If we add to this the increase of gross domestic product every year, it is clear that the money that we want to spend on the restructuring and modernising of the Polish Armed Forces in accordance with the laws in force will reach really huge amounts,” President Duda said. In 2020, expenditure is expected to reach 2.1 per cent of GDP. Already today Poland is one of the few NATO member states that can say that it fulfils its treaty obligations - allocating 2% of GDP on defence spending. These expenditures, however, will increase before the thresholds set by the law enter into force. This is due to the change of the reference year in relation to which the level of defence expenditure is calculated. So far this was always the previous year. After the changes to the regulations it will be the current year. This means that, with annual GDP growth, there will be a need to refer expenditure not to lower GDP from the previous year, but to the higher levels –from the current year. Apart from increasing expenditure funding, the law also provides for a two-fold increase of the size of the Polish army - up to 200,000. This will include 50,000 positions reserved for Territorial Defence troops. According to Wojciech Skurkiewicz (PiS), the deputy head of the Sejm’s National Defence Committee, the increase in defence expenditures is fully justified, as reminded by Poland’s history - a country situated between two empires, and thus also many military conflicts. Therefore efforts are being made to, on one hand, increase its numbers and, on the other hand, to modernize it. “These increased expenditure will support the development and modernization of the Polish army. Most of the financial resources will be spent on modernization so as to make the ultimate transition from post-Soviet armaments to more modern armaments,” Skurkiewicz said. 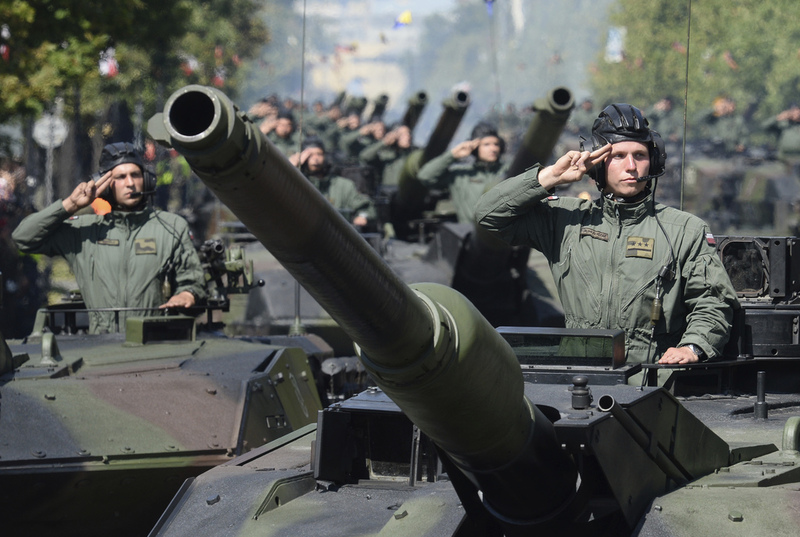 The deputy head of the Defence Committee said that the increase in defence expenditures would allow, within a dozen or so years, defence financing levels to reach up to PLN 100 billion. The bill signed by the President was adopted almost unanimously by the Sejm at the end of September – with 434 votes in favour, 1 against and 5 abstentions. Poland plans to increase the size of its army by 50 per cent to help “guarantee the integrity” of the nation’s borders. Under the plan the Polish army would grow from its current strength of 100,000 to 150,000 as the country continues to expand the capabilities of its armed forces. Poland has pledged to hit the unofficial Nato defence spending target of two per cent of GDP and has launched an intensive modernisation programme. Speaking about the army, Michal Jach, head of the Polish parliament’s defence committee, said an increase in size was part of a “profound reform to achieve a level of operational capacity that would guarantee the integrity of the Polish borders". The move reflects growing Polish security concerns. Poland has viewed with alarm the conflict in neighbouring Ukraine and the actions of what it considers as a revanchist Russia. Beata Szydlo, Poland’s new prime minister who took office this month following the victory of her Law and Justice party in October’s general election, has called Russia Poland’s “enemy", and many in her government view Moscow with the deepest suspicions. Antoni Macierewicz, the country’s new defence minister, has said he wants to rebuild the Polish armed forces “as fast as I can”. Mr Jach conceded that expanding the army by 50 per cent would be a complicated procedure, stressing that it “was not just about soldiers but also about equipment and barracks”. 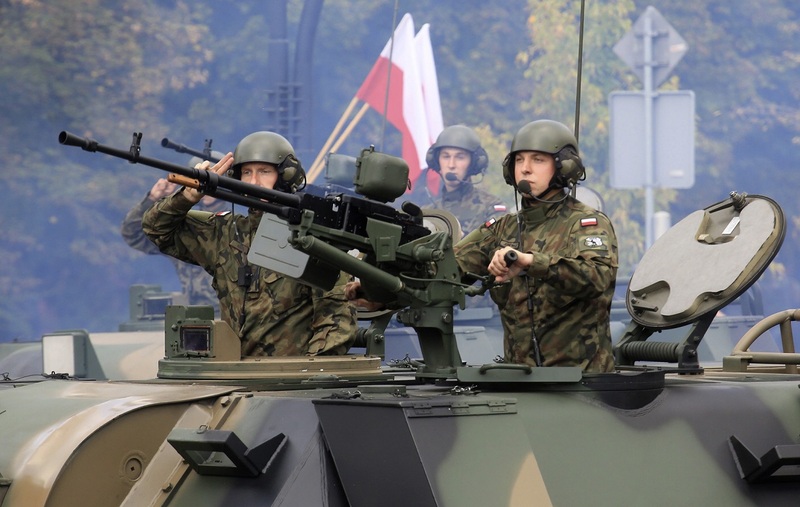 Along with increasing the size of the regular army, Poland also plans to create three territorial brigades to protect the country’s eastern flank.